TALENTED pacer Emain Macha is aiming to complete a piece of local history on Saturday night. Making his annual trip to the Sunraysia District, Emain Macha is engaged in the Mildura Cup for trainer Greg Scholefield. Victory in the Group Two will see the South Australian become the first pacer to capture the club’s ‘Holy Trinity’. Emain Macha secured the Mildura Guineas in 2017 before returning to annex the support Cup last season. This time around the son of Safari will contest the main event, where he has drawn the middle of the second row. “He’s got a pretty good record in Mildura so it will be nice if that continues,” Scholefield said. “The draw isn’t that good, which was also the case in his heat when he finished third. “He chased home well in the heat and I’m happy with the way he went in quick time. “He has pulled up fine, is eating and is relaxed. I jogged this morning and felt at ease and ready to go. Scholefield also has Kingofthestars in the support Cup, with the son of Sportswriter drawn ideally in the pole. 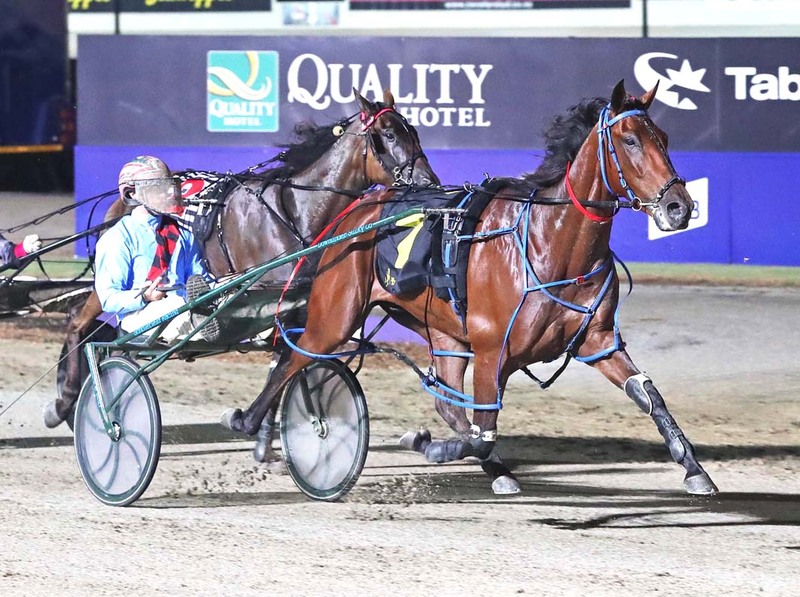 Boasting two wins from his last four starts, Kingofthestars was a gallant fifth in his heat after racing in the ‘death seat’ from barrier five. “King will go well from the pole,” Scholefield said. “Starting from there will put him right in the mix. Can long term plan result in perfect ending? Is it good to have big fish in small ponds?